I have been a vegetarian for 14 years now. 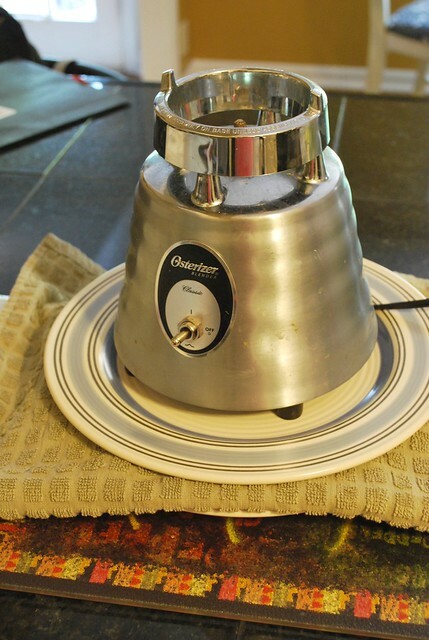 It took me 12 years to discover this method of cooking tofu. I tried cooking it every way possible and just never could get it nice and crispy. 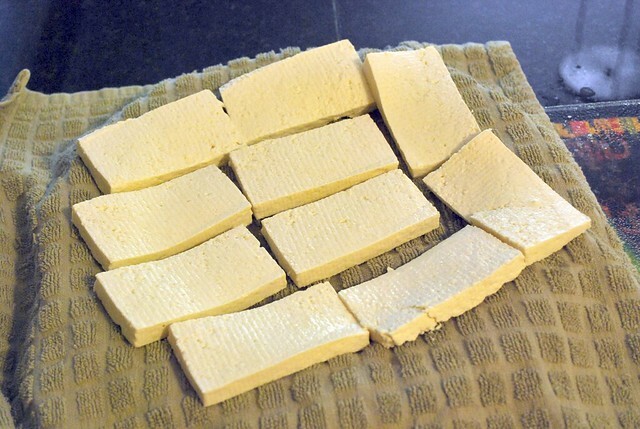 The following method is the easiest and tastiest way I have found to cook tofu. 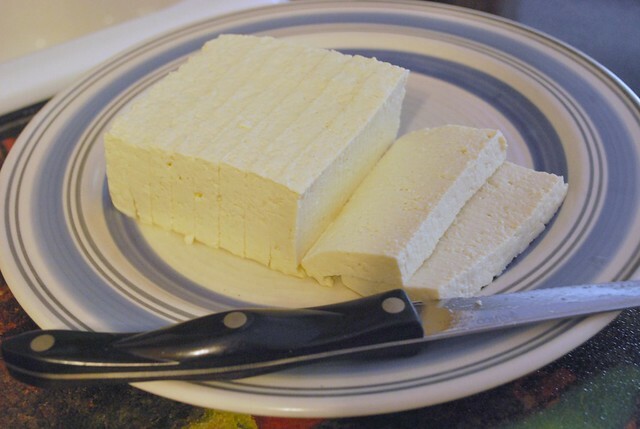 Start with a block of tofu. I always use organic non-gmo extra firm tofu. Drain off the liquid. Then slice into 1/2 inch slabs. Place the tofu in a single on a plate covered by a towel. Place the other side of the towel over the tofu and cover with another plate. Then place something heavy on top. This will help drain the excess liquid from the tofu. If you are in a hurry or feeling lazy, you can definitely skip this step. Just squeeze the tofu block with your hands over the sink. You might have to cook the tofu a little longer too. 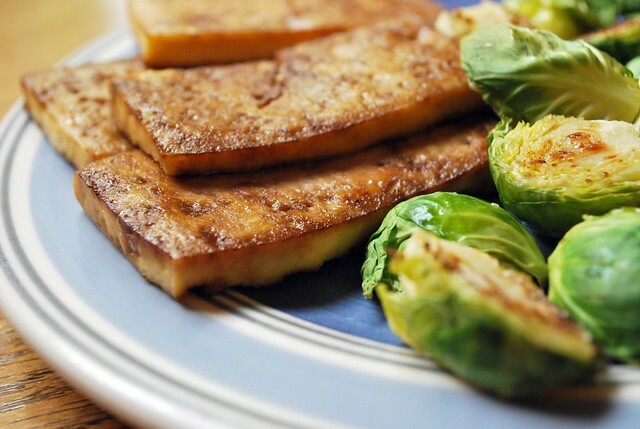 While the tofu is draining, preheat the oven to 350. 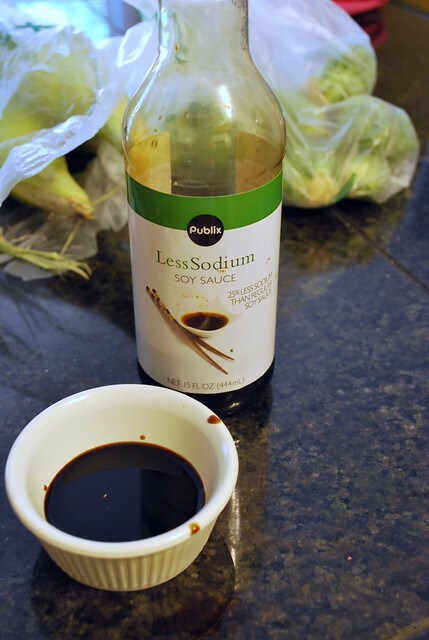 Then pour some soy sauce in a ramekin or bowl. Let the tofu drain for at least 15 minutes. 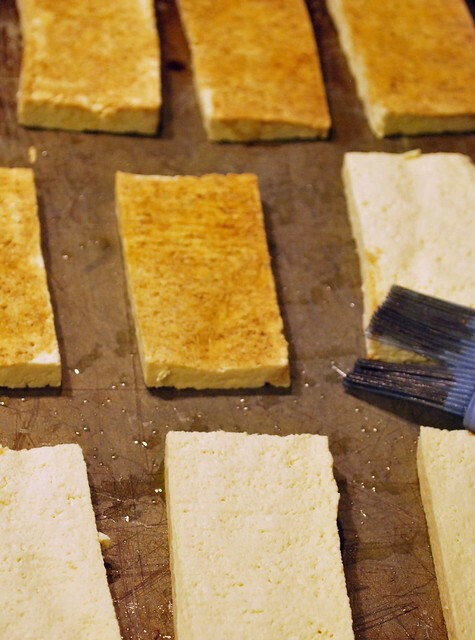 Then spray a cookie sheet with oil and place the tofu slabs on it. Coat both sides with soy sauce. Then place in the oven. Flip the tofu after about 20 minutes. Then cook for another 20 minutes or so. The longer you cook it the crispier it will get. Mmmm. See how crisy and yummy it looks. I save the leftovers to use during the week when I need some protein for a meal. It tastes great cubed on a salad. I keep trying to like tofu, I really do. The crispier the better so I'll have to try your method! That looks good! I'm sure I would be the only one partaking of it here, but I'd like to try that.